Abu Dhabi: The Middle East’s premier Luxury Lifestyle supershow is back, bigger and better than ever before with the world’s newest, rarest and most unique innovations and state of the art products from across 11 categories. 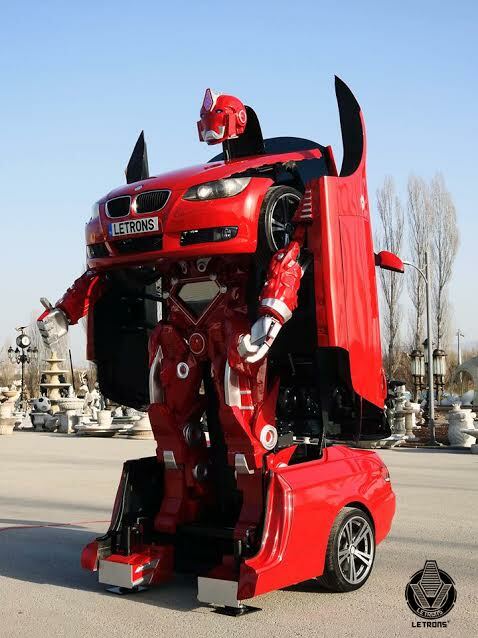 BBT2016 proudly presents a car that transforms into a robot ! Letrons will be launched for the first time globally at the event. You’ll have to see it to believe it. Visit bbt2016.com to buy your ticket before they sell out. But that’s not all, other product launches and exhibits this year include the best of the best the world has to offer such as The World’s Fastest Street Legal Bike, The Global Launch of the World’s Fastest Supercar, The Launch of Khalifa the Boat with Supercar Features, 3D Printed Music Instruments and more! Buy your tickets now as only a limited number are available. Big Boys Toys is the Middle East’s premier Luxury, Innovations and Technology Expo. The exhibition is unique in featuring products from 10 different categories that include Drive, Ride, Off-Road, Marine, Aviation, Adventure, Wellness, Fashion, Lifestyle and Digital – a complete experience that caters to every facet of refined living.